Ahh. The city of love. From delicious food to fine wine and chic people, Paris is certainly a must-visit. A hub for art, gastronomy, fashion and culture, Paris is the perfect destination for a long weekend away. Wander down the winding streets, take in the art and sample some of the sights the city has to offer. Paris is well known for its art and architecture. If you’re heading to the city and are a lover of either, then you’re in luck. From the most visited art museum in the world – the architecturally amazing Louvre to the Musée National d’Art Moderne which has the largest collection of contemporary and modern art in the world. Paris is truly rich with art. Aside from these galleries and museums, the obvious major attractions are the Eiffel Tower and the Arc de Triomphe. The Eiffel Tower is an iconic monument in Paris that was built in 1889 and has become synonymous with the city. It is one of the most recognisable structures in the world and is the tallest building in the whole of Paris. It stands at 1,063 ft tall, which is around the same height as an 83-storey building. For those wanting to visit the iconic structure, you can either go by lift or stairs to the observation deck and admire the view from the tower. Alongside this, there are also restaurants in the tower itself where visitors can dine and admire the view simultaneously. The other notable monument is the Arc de Triomphe. 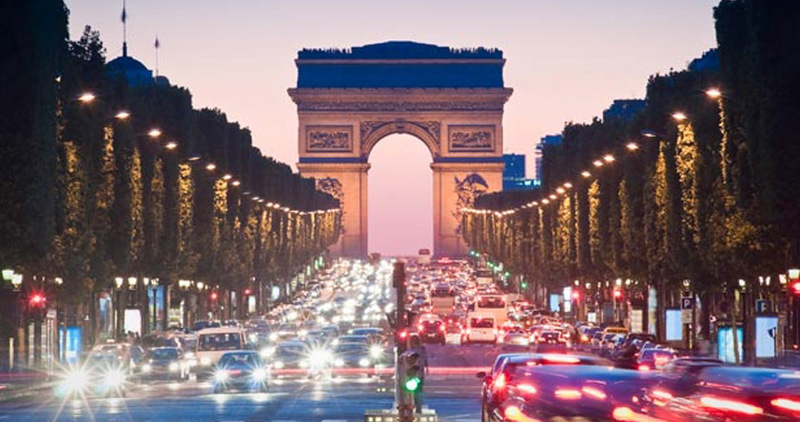 Situated in western Paris, the Arc de Triomphe stands at the centre of 12 avenues and joins them with one roundabout surrounding the structure. Commissioned by Emperor Napoleon after victory in battle, the monument is an ode to national triumph in battle. As the capital of fashion and home of luxury goods, it makes sense that the shopping in Paris is second to none. Parisians are stylish and sleek and their stores are no different. Hermes and Louboutin both hail from Paris, and their flagship stores are situated in the city. 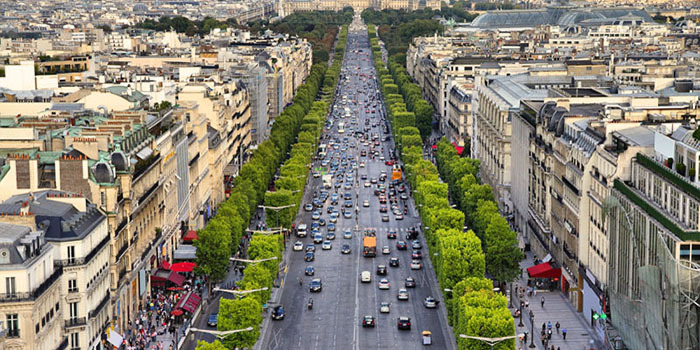 Perhaps the most famous destination for shopping is the Champs Elysees. This road has shops on from some of the most prestigious brands in the world. If you’re a shopaholic, don’t miss this fashion haven! This year also marks the opening of the Musee Yves Saint-Laurent. An entire exhibition space dedicated to one of the greatest couture designers of the 20th century. The space is sure to be as refined and elegant as the designer it is named after. For those interested in the history of French design and fashion, this museum is for you. 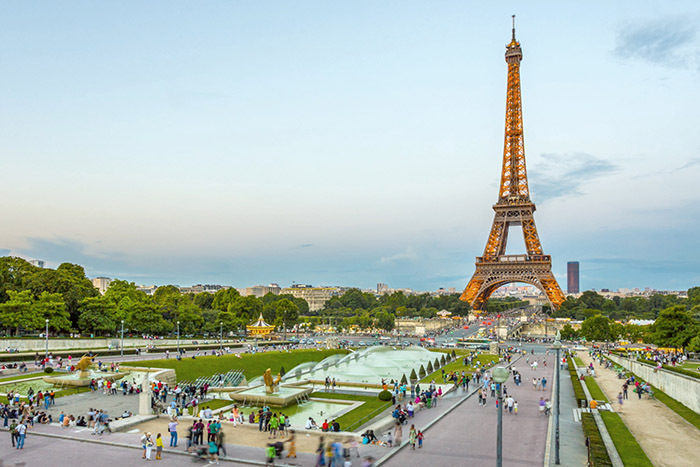 If you’re looking to visit the city of love, why not contact our buying team to see where you can purchase timeshare near this cultural centre of France. If you’ve got timeshare to sell, then we’d be happy to sell it for you!